Cleverly bringing together the art of folding with ceramics. Amanda Betz has created a collection of geometrically folded vases in three earthy tones. Add a bouquet of flowers or admire the vases unadorned for their raw beauty. Amanda Betz graduated from The Royal Danish Academy of Art and Architecture in 2005, where she was awarded the prestigious VOLA prize, and her work has since won international acclaim. Amanda’s creative process typically begins with paper, which she folds, cuts and prints. These early stages are often reflected in products that maintain some of the delicate and fragile expression of the initial paper drafts. 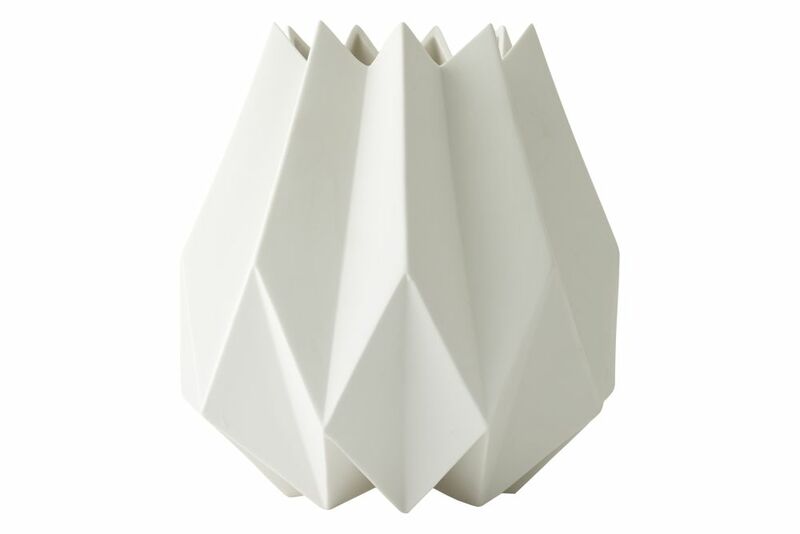 Like her Folded Vases for Menu, which cleverly bring together the art of folding with ceramics.